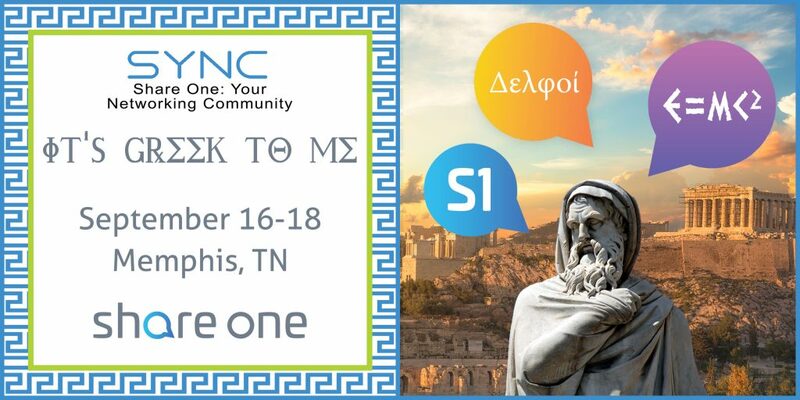 Make plans to join us September 16-18 for SYNC 2019 – It’s Greek to Me – hosted at the Peabody Memphis Hotel in Memphis, TN. Listen as Share One staff members easily translate the sometimes complicated technical language of the latest financial service trends. Collaborate with our team of experts and credit union professionals from around the country to share best practices and learn about the newest products, features, and system enhancements which will keep your credit union successfully serving your members. Monday, September 16: Golf and local tour events in the morning followed by kick-off dinner later that night. Tuesday, September 17: Full day of conference presentations followed by small group dinners. Wednesday, September 18: Full day of conference presentations followed by a cocktail party and dinner reception hosted on the rooftop of the Peabody Hotel.